For job seekers with a background in the hospitality industry, finding an opportunity online may be a hard task to undertake. When deciding a career in this field you will have to think outside the box. 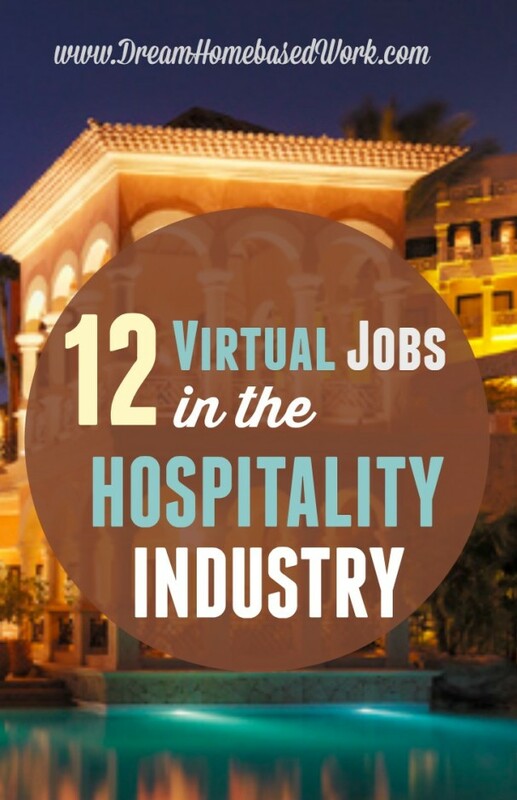 The hospitality field consists of doing more than working the front desk of a hotel chain. Various assignments may include online reservations, vacation planning, and personal concierge services. As on Online Reservation or Sales Specialist, your leading role is to provide top-quality customer service to customers and inform them about current specials and opportunities while addressing their questions and concerns regarding their hotel and trip reservations. It is becoming commonplace for larger and well-known hotel chains to hire home-based reservation specialists. Hilton Worldwide – Hilton hires Reservation Specialists to work from home booking preferred hotel reservations, while offering products and services that are targeted to each individual or family needs. American Express – This well-known company hires Travel Counselors to handle incoming calls from American Express Travel members while providing assistance regarding their travel needs. Wyndham – Wyndham occasionally hires for Remote Customer Service Reps. Check back with them for future opportunities. Carlson Wagonlit Travel – Carlson Wagonlit Travel frequently hires Travel Counselors to answer phone calls during the evenings and weekend hours. Your main goal is to deliver the best trip and offer great recommendations to the traveler. Active Network – Active Network frequently hires seasonal online Reservation Agents. Your main role is to assist customers with campsite reservations, park reservations, and possibly assist with purchases of hunting and fishing licenses. From making car rental arrangements to scheduling driver services, this is a job in the hospitality industry that will always have openings. While working as a transportation specialist, your main responsibility is to connect with their rides – in the form of car rentals or personal drivers. Enterprise – This is a well-known car rental company, headquartered in St Louis, MO. Enterprise has more than 80,000 employees, providing quality service to rental brands including Enterprise Rent a Car, Alamo Rent A Car, and National Car Rental. They have a reputation for being a great place to work and are now ranked 15th on the Forbes Private Companies list. Uber – Uber is a fast-growing company that hires customer service reps to work from home. They claim to be faster and cheaper than a taxi. Because they have now expanded throughout the USA, these jobs go extremely fast. Sometimes it can become very stressful when planning a vacation. This is where a travel counselor or vacation planner come into play for those who want to work remotely and provide a much-needed service. American Express – American Express frequently hires Travel Counselors to handle incoming calls from travel members and book the best trip they can imagine. Your main focus is in domestic and international destination travel, car and hotel travel arrangements and taking ownership of the journey from beginning to end. Cruise.com – Cruise.com hires Cruise Sales and Customer Service Specialists. This job involves more than sales and customer service. Your main role is to sell cruise packages, insurance, and other products to current and future customers. Work is done through inbound and outbound calls, online chat and email support. If you are looking for more than an inbound Customer Service job and want more of a challenge, consider working in virtual concierge services. This is an awesome area of employment that offers satisfaction to the one seeking your service. From personal grooming to specialized travel needs, your personal attitude will be rewarded in the thanks you receive. MyTime – This company connects customers with local businesses through booking appointments. Customers can schedule appointments, such as a hair cut or home cleaning, and a MyTime Concierge Contractor makes the connection with the client. VIP Desk –Read more– The company's home-based employees handle inbound customer requests by phone, e-mail, and online chat. These positions are called “brand ambassadors” or “concierges.” Brand ambassadors are mostly customer service and support the needs of company's corporate clients'. Typically more brand ambassador positions have openings. 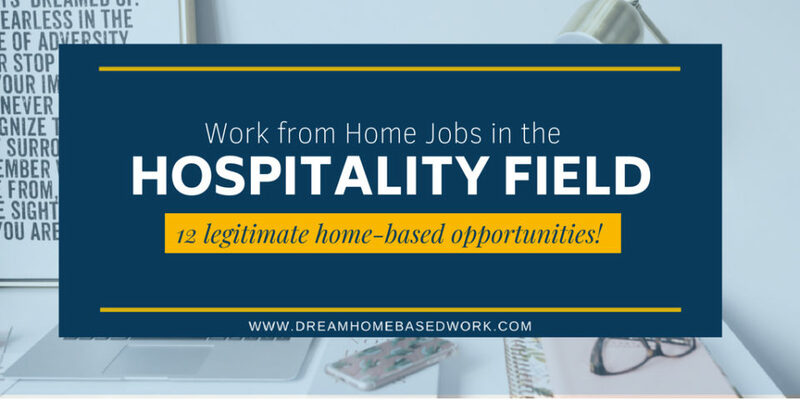 Do you currently work from home in the hospitality industry? I would love to hear about your work from home experiences. Help others that are also looking for jobs in the hospitality field. Share your thoughts below! Hello, im wondering if you know of any work from home jobs for people living in and from the caribbean?